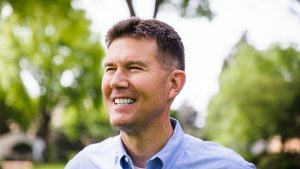 Alabama Secretary of State John Merrill heads to Washington to testify before Congress Wednesday about election security. Merrill is one of a handful of state and local election officials giving feedback on a bill meant to improve the nation’s voting laws. He says he has issues with some of the provisions in the proposed legislation. “They indicate federal overreach and they indicate some level of unfunded or underfunded mandates for the states or local areas,” Merrill says of the proposed bill. Some of the provisions, including paper ballots and accountability audits, are things Alabama already does or plans to do, he says. But practices such as same-day voter registration and early voting are not available to Alabama voters. Merrill says they’re not necessary. “We have less than 300,000 people in the state of Alabama that are not registered to vote,” he says. The state has registered voters in record numbers, he says. And he says early voting hasn’t been proven to significantly increase voter participation. Research shows its effect on turnout is unclear. Merrill says Alabama is doing well in the area of election security, citing a two-factor authentication system introduced last year. That requires multiple levels of authentication before someone is added to the rolls. And removing names from the voter rolls using information from various state agencies, including the Department of Corrections, he says, further ensures election security. Voting rights advocates have argued those and other measures have made it harder for people to vote in Alabama. Updates to the state’s voter rolls in 2017 frustrated many residents. A committee reporting to the U.S. Commission on Civil Rights has been looking into voter access in Alabama. Merrill says he isn’t terribly concerned about potential hacking into the state election system. But he says he’d like to be able learn of a breach quickly. A livestream of the hearing will be available here.